My first dog as an adult came in 2001. Fezzik took various training classes starting off with Positive methods and found them enjoyable and productive. We took obedience classes (both “life” skills and formal) as well as some agility. 2005 found me working for another company as a Dog Walker. Soon after that, as a Dog Training Assistant in classes; 1 ½ years later, I started Instructing classes myself. Currently, I work with two different Positive based training companies in Toronto. Sóley came at the age of 11wks in 2006. I handled her through Confirmation, Agility and Rally; she acquired both of her championships (UKC and CKC); she achieved her RN (Rally Novice) as well. At the end of 2006, Sundog Pet Services came into existence. 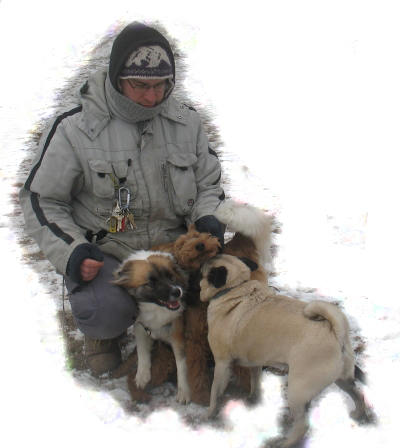 My formal education outside Dog Training involves Science (B.Sc), medicine (EMT-A; Saskatchewan). I’ve also worked in the construction industry. Currently I am upgrading my education in Dog Training to ensure that I provide the best possible Training and Coaching to my clients; I am enrolled in The Academy for Dog Trainers (“The Harvard of Dog Trainers“) with Jean Donaldson (author of “Culture Clash”). I continue to provide Training and look forward to help bring all Dog Training into the current century. 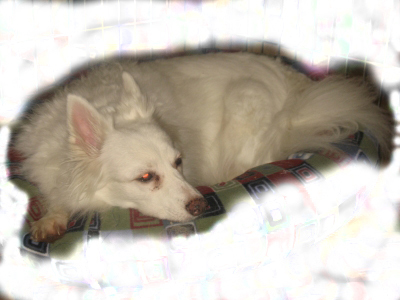 Sundog is operated in spirit by Fezzik, an American Eskimo x Corgi, born around 1999. Fezzik’s favorite activities were napping, rolling in the grass, showing off his tricks, and waiting for his next meal (which he excelled at). 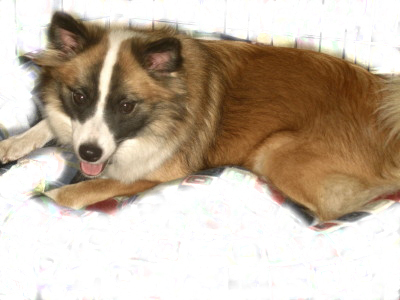 Sóley, an Icelandic Sheepdog, is our mascot ; she was born in 2005. Her favorite activities are running, chasing, and being admired. Sóley is a hapless flirt with both other dogs and people. She is also an avid ball retriever. Tindra is Sóley’s daughter, born in 2007. She has taken on the mantle of warning about every dog she hears and every squirrel she sees. She enjoys going on walks with her puppy friends. She is playful, and full of energy. Tinni came to us as a foster from Iceland. Although he’s had his own quirks, he enjoys training and going out regularly playing with dogs and balls.